You will find all kinds of accommodation for holidays in Devon from simple caravans and camp sites through to luxury hotels and farmhouses. The important factor is to find accommodation to suit your budget and just go and enjoy Devon. In our opinion, renting a country cottage in Devon is one of the most economical and definitely most comfortable forms of family self catering accommodation. A cottage cannot be beaten on space, privacy and utility where children are concerned. The most important thing about a holiday in Devon is taking pleasure in the seaside and countryside, the fabulous views and the things you do. These are what memories are made of. It is worth paying that little extra for a holiday cottage in Devon for the degree of comfort and convenience it provides compared with other forms of holiday accommodation. Just ask yourself where you would like to be staying on a rainy day. 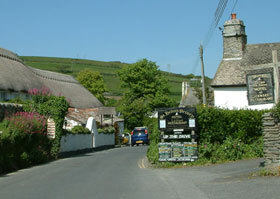 Holiday cottages to rent in Devon, read about cottages in Devon that sleep 6.